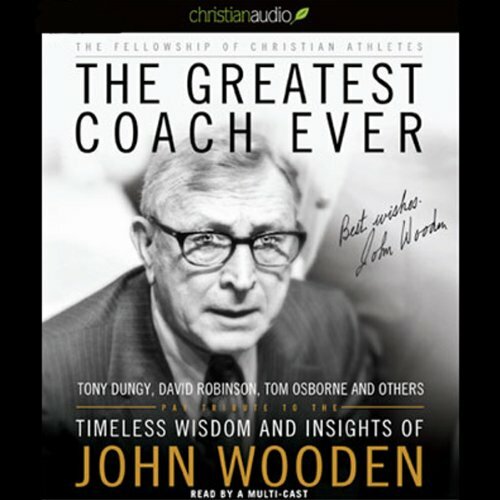 Showing results by author "Fellowship of Christian Athletes"
Coach John Wooden's teams won 10 NCAA men's basketball championships at UCLA, and Sporting News magazine named him the greatest coach of all time. Decades after he retired, and now after his passing, his wisdom capsulized so clearly in his famous Pyramid of Success continues to guide new generations of athletes, coaches, and people of all walks of life. In The Greatest Coach Ever, the Fellowship of Christian Athletes features 40 tributes to him from athletes, coaches, and other influential leaders.